Things slowly were improving but we couldn’t yet conceive again and we went to all the specialists and ran all the tests. Everything came back positive and we were not sure what the issue was. The project I had to leave for after the last mishap turned out to be a gateway for me to get a job in a big firm that I always wanted to be a part of. Once that happened we suddenly got news from the specialist doctors that my wife was pregnant when they saw the test reports in detail. My wife had a tough pregnancy with numerous ER trips and complications. She delivered a premature baby and we were with our son in ICU for many days hoping that he would come home soon. So even after his birth, we didn’t really celebrate as we were worried about his health. Slowly he coped up and finally arrived home this week. 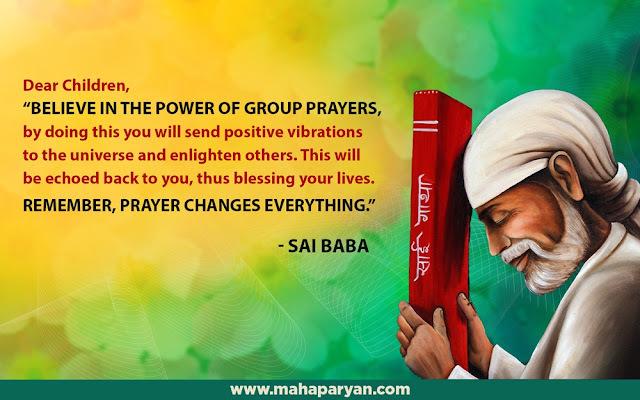 I attribute all this to Sai Baba only, He gave us a newborn in His Mahasamadhi year. I’m so happy just for that and we hope to take our infant to Shirdi one day and have him meet His maker. Sorry for such a long post and hope to have this published before Baba’s Mahasamadhi Anniversary. He truly is the Supreme and true Master of us all. We are blessed to be His children and should cherish every moment of His mercy and Daya on us that we experience in our lives in the form of numerous miracles He does. Love You Deva. Jai Jai Ho Sai.